Soundgarden were my band. ‘Black Hole Sun’ came on MTV some time in the early summer of 1994 and I was transfixed. Before that moment, ‘rock’ was a big ugly thing to me, for older kids who drank in the park or hung out at the Wellington Monument with candles and baggy clothes when Kurt Cobain topped himself. So this was a strange feeling, hearing that song, with Chris Cornell’s soulful voice and Kim Thayil’s colourful guitar lines, alluring and scary at the same time. I didn’t even hear the album Superunknown till months later, when I got a CD player for Christmas. I’ve probably played it hundreds if not thousands of times since then. I still have the original CD. I picked up BadMotorFinger and Louder Than Love not long after. I knew ‘Rusty Cage’ and ‘Outshined’ and I was getting into metal as well — once you fall, you fall hard — so the former clicked. I didn’t get the latter at first, it felt too different, an alien sound from an alien band on the cusp of something else, but of course I grew to love it. More than Down On The Upside, which I played relentlessly for weeks when it came out in mid 1996 but never really clicked with like the others. It was a sign of change and growth, in hindsight. Around this same time — maybe months before, the details are fuzzy — I heard on Headbanger’s Ball about a previous album called Ultramega OK, on some label called SST. You had to learn these things by chance, this was the pre-internet era, or at least the pre-computer-in-every-home era. I made a note of it, of course. No sign of that one in the Virgin Megastore, but I was visiting my now late uncle Pearse in Nottingham that summer of ’96, and he recommended a few record shops. Uncharted territory, even for someone who’d made a habit of frequenting the Sound Cellar for limited edition singles. Pearse rang ahead to one shop and they had it, a single copy complete with original SST Superstore catalogue – which opened up a whole other world for me. Some time later I’d take a chance on Black Flag and then the Minutemen, and 20 years on, here I am. By that point, in 1997, Soundgarden had broken up: I remember hearing the news on the radio, and being simultaneously saddened and excited that my band had been deemed important enough for the morning bulletin on 2FM. Chris Cornell would go on to make a solo album that wasn’t to my taste, and start Audioslave, who were fine for what they were but not my bag; I followed Matt Cameron to Pearl Jam but it wasn’t the same; the others more or less disappeared. The love affair was over. But I will always credit Soundgarden for getting this whole thing rolling, my continued love affair with music in general, with sound that excites and fulfils me. And of course I still rep for Superunknown; 23 years on from its release, it really hasn’t dated a bit. Getting to see them live, playing songs from it, as well as plenty of deep cuts from their earlier albums, was special: they didn’t just ‘play the hits’, they reinterpreted the songs for the band they were then, reformed after many years out in the cold and doing it again because they wanted to. My only regret is that Bee wasn’t with me when they played Dublin in 2013, to share that experience with me, and I was only thinking recently about how good it would be to see the band return for one more gig. I remember leaving the venue that night and overhearing someone in the stairwell, moaning that they didn’t play ‘Black Hole Sun’; that was my song too but I could only shake my head — you just don’t get it, do you? I don’t get what would move Chris Cornell to take his own life, either, if that is what happened. Only he can know what was going through his head. There’s nothing more to be said about that. It’s so sad that he’s gone, that he’s no longer there with or for his friends and family, nor as potential energy for the rest of us. But it’s heartening to read how much of a nice guy he apparently was, and how much people loved him. No, love him. 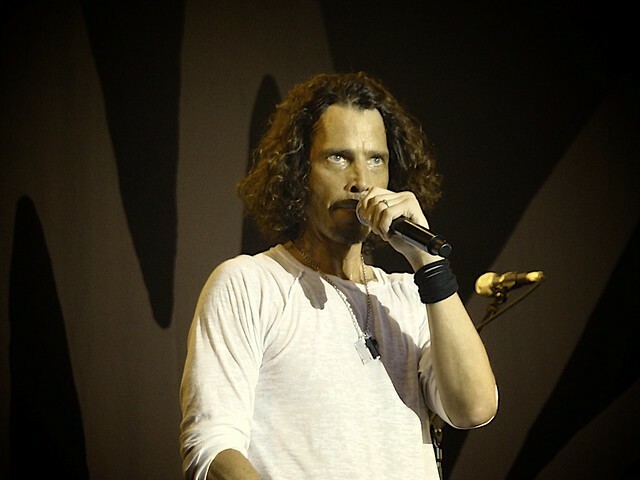 You were reading On Chris Cornell, a blog entry by MacDara Conroy. It is filed under Sound and was published in May 2017. If you liked what you read here, you can follow this site on Twitter @MacDaraBlogs or via reader feed, and find many more entries in the Archive.